All of our classes for children under 7 years are based on motor skill development, cognitive skills and of course FUN! All ballet classes have a Fancy Nancy Theme in this age group. Ages 18mo-3 1/2 years will enjoy these energetic, motor skill building dance classes! Role playing is a big part of our summer at Springfield Dance, and these kiddos will love all of the fun exercises with the Fancy Nancy theme. The Toddlers get to bring a “Big” into the class with them to keep them company. The Littles get to explore class without their “Big” as they bridge to next level. Our Prancin’ Preschoolers are ages 3-4 and Fancy Nancy is the theme for the weekly ballet classes offered this summer. The class has lots of color, drama and dancing, mixed with a whole lot of fun. Also offered for the Preschoolers is Acrodance: a fusion of flexibility, strength, tumbling and the beauty of dance. It is the perfect blend of gymnastics and dance! Our Mini Movers are students ages 5-6 and they will be moving non-stop through June and July! Fancy Nancy ballet is offered as a weekly class, but the fun doesn’t stop there. 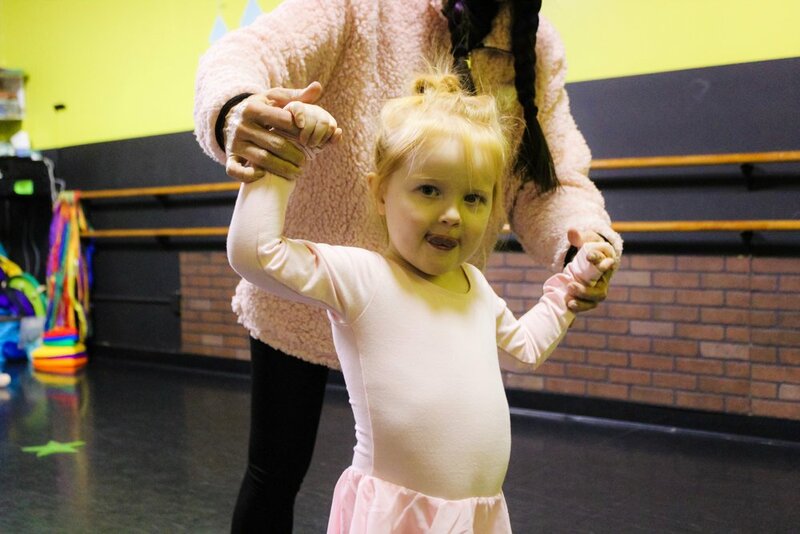 Our parent friendly schedule offers Mini Hip Hop before each ballet class and Acrodance after each ballet class, so parents can drop of their Minis for a couple of hours fun while they run errands or have a coffee date!